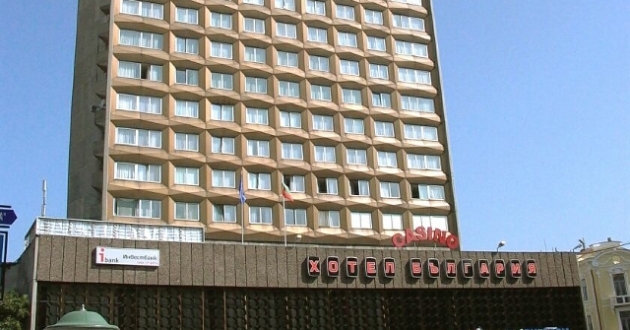 Location: The hotel is situated in the heart of Bourgas. The hotel has 16 floors, each of them with a spectacular view to the Bay of Bourgas or "The old town" part of the city. Accommodation: The hotel has 3 standard and 7 luxury suites, 75 single and 87 twin bed rooms. Every room has a bath-tub, mini-bar, direct phone, cable TV and radio, internet, iron, hair-dryer. Sports and facilities: Fitness centre, indoor swimming pool, Jacuzzi. Other services: Room service, safety deposit boxes, money exchange, laundry and dry cleaning, conference rooms, shops and boutiques.